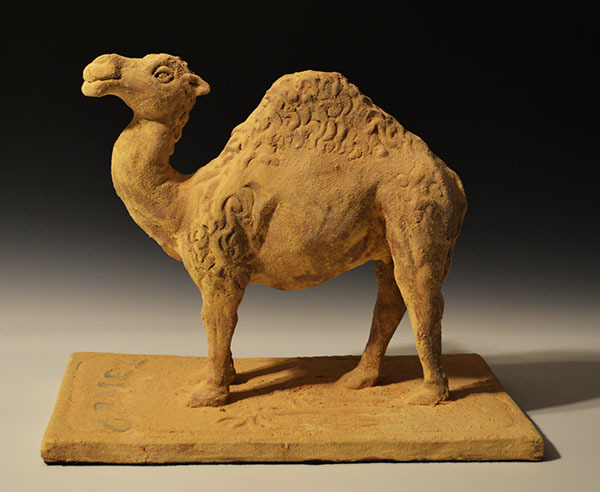 As a young child, my grandfather always smoked Camel cigarettes. 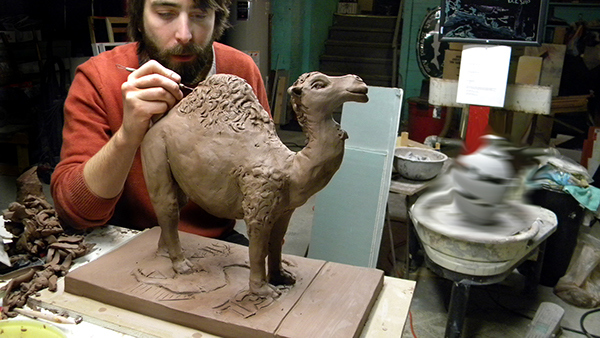 I would often find myself going into his room and smelling the fresh packs. 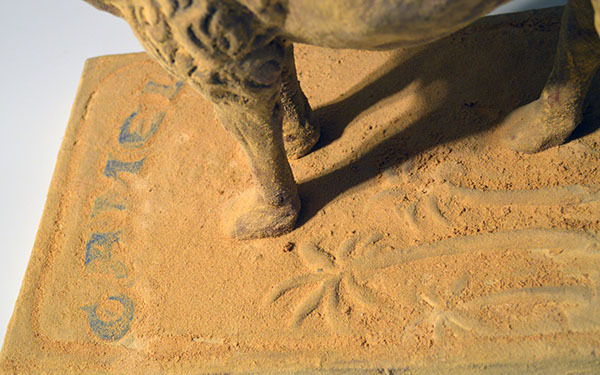 This terracotta work stems from those memories. 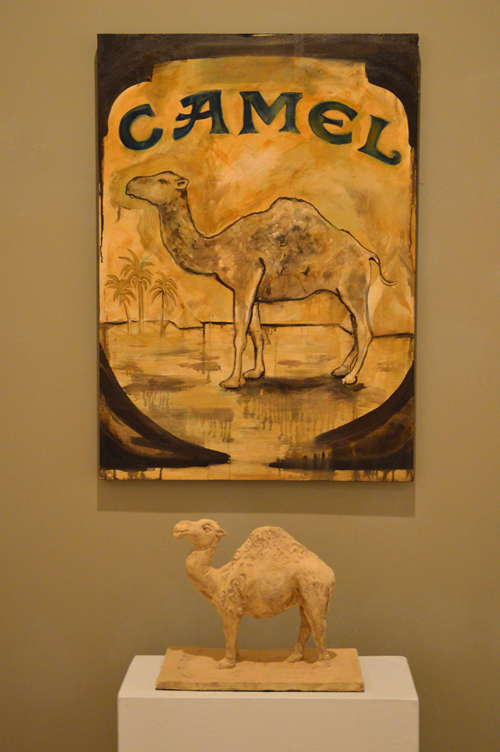 The acrylic painting was inspired by Rauschenberg's loose painting of a Camel pack which hangs in the Williams College Museum. 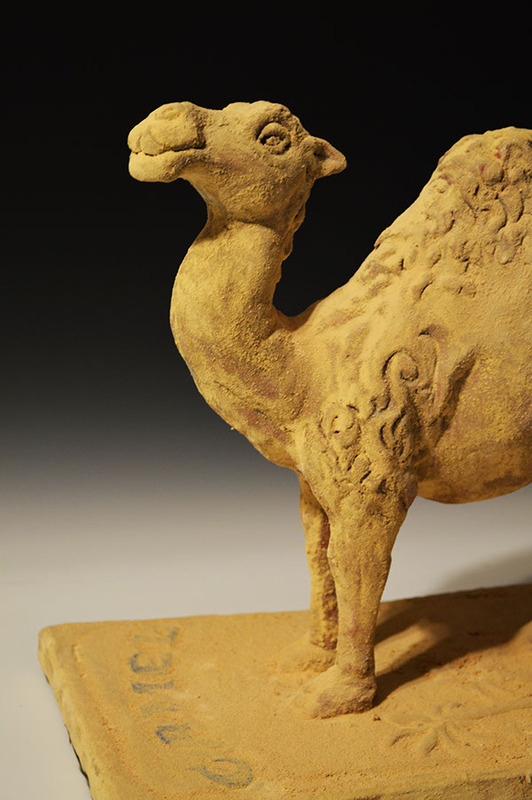 14" x 17" x 9"
'Camel' is a terracotta sculpture that stems from childhood memories.